While this number of objects may seem unimpressive at first glance, recall that my plan was to include 'over 25' models, and I still intend to do so, through a series of updates over time. The pack will typically retail at $1.25 on Itch.IO from here on out - however, it will go on sale occasionally so keep an eye out for that! 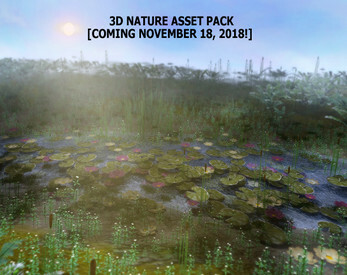 Note that all plants in the package are relatively low-poly and potentially suitable for use in games, not just pre-rendered art [VFX, architectural renders, cutscenes, and so on]. 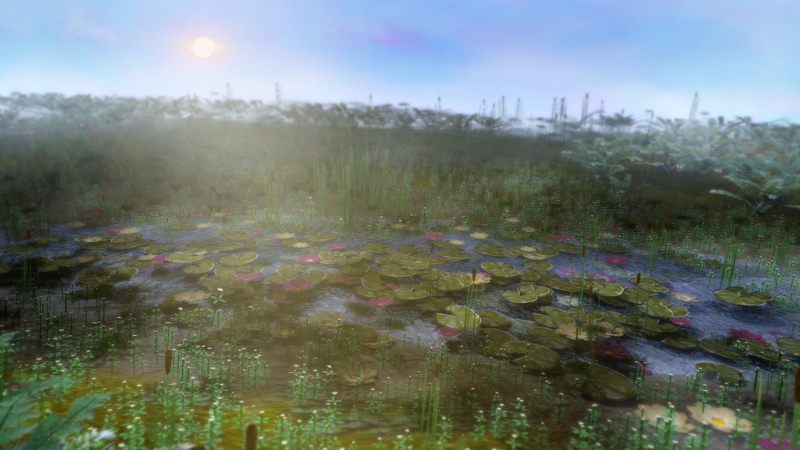 -a folder with water surface animation [.png sequence] and sky texture, terrain texture and associated meshes. - a textured 3d bald cypress tree model. Other items will be added to this set in the next few days, including some shrubs, wild grasses and wildflowers, fallen branches/logs, Spanish Moss, mushrooms, and more trees. 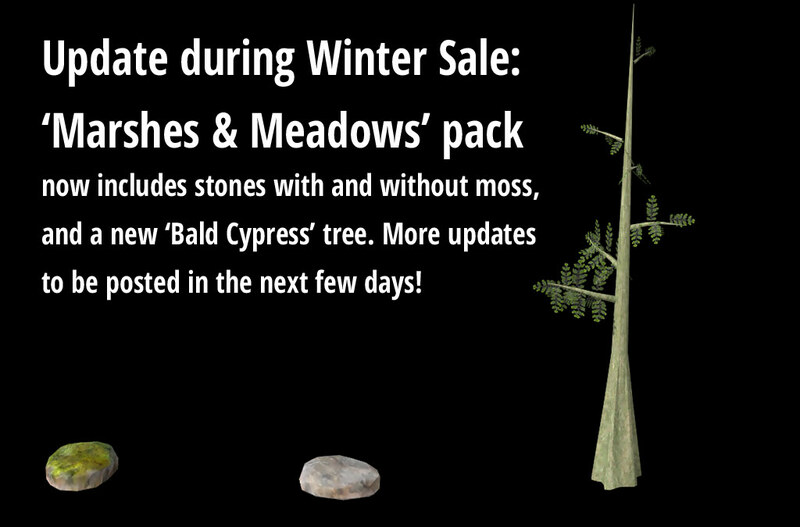 NOTE: A wider range of trees and forest details plus many flowers and bushes, will be posted in a new $1 collection "Forests & Flowers" in a few weeks, and a bunch of desert assets and winter snow assets will be made available in the "Snow & Sand" package. The aim now is to include well over 100 assets in all between the three collections... enough to fill just about any type of nature scene you might want to make!